Portfolio management services or PMS are generally provided to an exclusive set of clients where they are provided with a personalized approach towards investing across different products. These products may range from equity, debt funds, fixed deposits (in a few cases) and other related financial classes. In this detailed review, let’s try to understand different aspects related to Portfolio management services, how do they work in the Indian investment space, what are the related positives and concerns you must be aware of etc. A quick tip – if you are relatively new to this concept, try to take it slow to avoid any potential confusions. As mentioned above, PMS or Portfolio management services are customized form of investing where although the ownership of all the investment products remains within your demat account, but all the brainstorming is done by expert fund managers. Generally, a fund manager is allocated to your portfolio, however, internally most of the organizations require different fund managers to work together so that there is a constant re-iteration of different stock ideas and investment strategies. This process chalks out any potential human errors that can harm a client’s portfolio returns. We will talk about PMS types later in a different section, but this needs to be understood that the discretion of giving the complete investment freedom to your fund manager stays with you. You may or may not allow total unrestricted access to your fund manager. Portfolio management services are primarily suitable for HNIs or High Networth Individuals. The fee one client needs to bear is based on the initial contractual agreement between the parties and is generally a specific percentage of the overall returns provided by the fund manager. In fact, in most of the cases, there is an agreed term where the fund manager is supposed to provide returns reports to the client every quarter or 6 months. 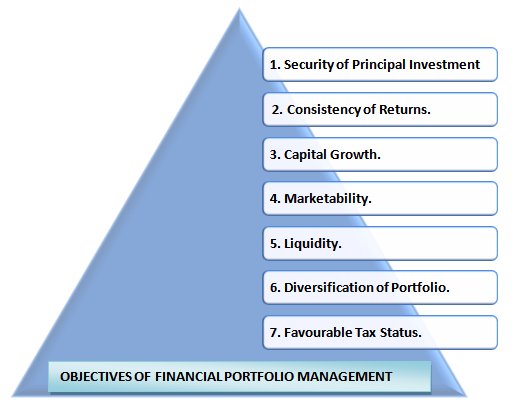 These Portfolio management services come with a set of objectives i.e. these services are obviously used for a set of reasons by investors. And each of these investors may have one or more reasons to go ahead with these. In any country, be it India or outside, there is always going to be inflation. The percentage of inflation may vary, however, the purchasing power on the invested amount at that particular point in time is going to diminish in the future. There could be other economic factors too that can add on to that concern. Thus, the principal amount should see an appreciation that beats all these economic factors. That is the whole point of investing in the first place, anyway! This is one of the foremost requisites for anyone to go ahead with Portfolio management services. The primary role of the PMS manager is to make sure that the principal amount stays safe and risk-free. Obviously, the investor is looking for consistent returns but by any means, be it any downturn or market instability, PMS manager must be skilled enough to anticipate the concerns and make sure the investor’s capital amount is always 100% safe. There could be situations where you would need a portion or all of the invested capital amount. Thus, the expectation from Portfolio Management Services is that the selected investment products are of such nature that it is relatively easy to get those liquified at any given point in time. The whole concept of Portfolio Management Services is that the complete principal amount is segregated into different investment products in such a way that the overall risk is mitigated to a desirable level. There are investment products with low risk while there are others that have a relatively much higher risk. However, the greater the risk factor, the higher are the returns. Therefore, one’s portfolio must be kept in such a way that the overall risk is within a manageable level. You can’t avoid taxes, at least in India. Thus, if you are looking at higher returns, the tax factor needs to be taken care of as well. There are ways in which your portfolio can be designed that lower the impact of the tax burden, be it income tax, capital gains tax etc. This factor is definitely one of the most important ones. Getting someone invested into a specific portfolio of stocks and investment products is one thing BUT to make sure that one keeps a close eye on the chosen stocks and their current market perception, activity levels, future potential is way more important too. Thus, another Portfolio management services objective is to make sure one is constantly invested in those stocks that are actively listed on different indices and have a reasonable trade turnover. When someone puts money into any investment product, there is always a substitute opportunity cost that is let-off, assuming that the investment product chosen has a higher chance to provide better returns. Thus, a specialized investment manager needs to consistently bring returns on the invested capital amount by looking for better investment avenues for the investor all the time. As the name suggests, this portfolio management requires one to be on the toes all the time. Make sure you do not get influenced by short-term market movements and look for value investing. 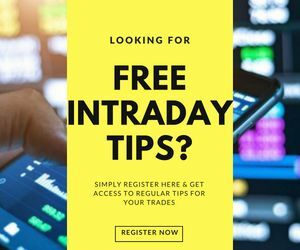 While doing so, such stocks are to be looked for that have the future potential to be a multi-bagger and are bought at a price that is currently undervalued. In this Portfolio Management Service type, you trust the market fundamentals. It is assumed that in the long run, all the short-term factors get neutralized and a fundamentally strong stock will eventually bring returns on your investments. 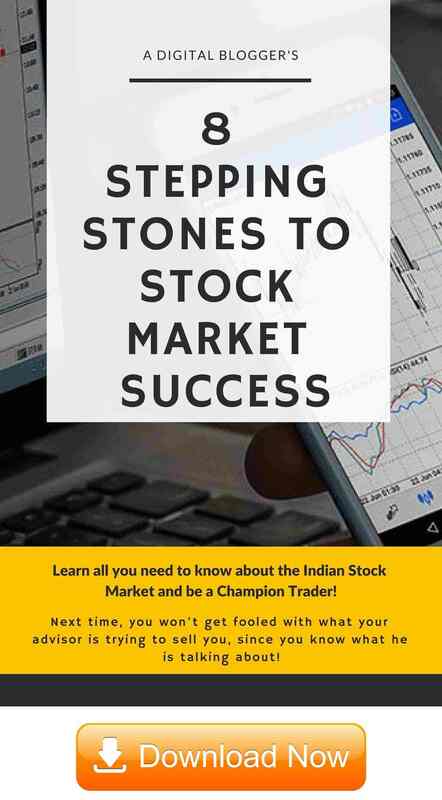 For instance, if a particular stock XYZ comprises 5% of the overall NIFTY50 Index’s valuation, then 5% of your investment portfolio will be assigned to that particular stock. Here, you trust the portfolio manager. As an investor, once you have provided the principal amount, the investment objectives and the corresponding investing period, your job is done. The investment manager gets 100% autonomy in deciding the investment products and the corresponding stocks and the trading style. Here, the portfolio manager works more like a financial advisor than anything else. He/she takes your inputs and then suggests you the corresponding investment avenues you may want to put your capital into. However, whether you want to go ahead and make that choice is entirely your call. Finally, irrespective of the portfolio management services you choose, you must make sure that your risk level, investment objective, return expectations and the corresponding timeline are never compromised. Otherwise, it kills the overall purpose itself. In order to become a Portfolio management services manager, you need to have a specific set of skills and background. This position comes with huge responsibilities since one would be managing the wealth of its clients and these capital numbers are huge, both in scale and volume. Must have an office space with adequate staff and equipment to run the operations. Educational background in finance, business management, law or accountancy from a government recognized university or college. A net worth of at least ₹50 lakh as an individual or a firm. At least 2 employees with minimum 5 years of experience as stockbrokers, financial advisors, portfolio or investment managers. The license provided by SEBI comes with a validity of 3 years post which the individual needs to get it renewed. Each of these businesses has its own sets of pros and cons. Some provide better returns while others also offer better customer service, smooth investment platforms, research and other related factors. While considering any of these portfolio management services, you must consider not only the cost aspect but what kind of returns and the timelines the firm has been able to offer to its clients in the past. It makes total sense to have a word with one of their clients by getting a reference from the first itself to have a first-hand about the service. These checks are important since you are going to trust them with your hard earned capital. SEBI has laid out specific regulations are portfolio managers fall under and must comply with at any given point in time. Not obliging with any of the regulations may lead to the cancellation of their professional license. These regulations were laid out by SEBI in the year 1993. The portfolio manager registration process has been done with due diligence validating the applicant background, application fee, infrastructure, professional qualification, an experience of at least 10 years, minimum employment of at least 2 persons with 5 years of experience between them. A portfolio manager before getting into a business assignment with any client must enter into a contract that specifies mutual rights of both the parties, obligations and corresponding liabilities, restrictions, areas of investments, objectives and the services to be provided. The funds received by the portfolio manager from his/her client MUST be invested in the specific investment products that have been mentioned in the agreement between both the parties. Renewal of a portfolio fund MUST be treated as a fresh placement in the books. For the renewal process, the application needs to file 3 months before the expiry of the current certificate. If the application is rejected, the board must inform the applicant within 30 days along with stating the grounds based on which the application was rejected. Once rejected, the affected portfolio manager MUST cease to provide its services on the day of receipt of the rejection letter. This was a quick snapshot of the portfolio management services regulations one MUST take care of. Avoidance, at any level, can be a professional hazard without an iota of a doubt. Understanding Portfolio management services with an example may make the whole concept for you a pretty straight-forward one. Let’s say, Vijay, a businessman from Pune who deals in clothing, just sold off a piece of land that was passed onto him from his grandparents. The overall value he received from this deal was ₹30 Lakh. Now, he has a few options for using this money. The safest option is putting everything into a fixed deposit. He can earn a fixed 7% interest rate on a yearly basis, thereby, leaving him with an interest of around ₹17k-18k on a monthly basis. He discusses this with his best friend Swapnil who works in a bank. Swapnil suggests him to use portfolio management services for such a capital so that he can get better returns with a low-mid range risk. Vijay makes up his mind to have a word with a few portfolio managers to see which one brings the best of the ideas on returns and also eases out on the risk level. After meeting a few portfolio managers, he goes ahead with ADB PMS who based on Vijay’s objectives, recommend him to diversify in equity stocks, mutual funds, ETFs with some of the funds in government bonds. Vijay goes ahead with these ideas and gets a contract with this portfolio manager. In a year’s time, Vijay sees a return of 17% on its principal amount that he re-invests into the products advised by ADB PMS. This is pretty much the way Portfolio management services work. As far as the returns on portfolio management services are concerned, there are multiple factors that decide the percentage. Aspects such as skill-set and experience of the portfolio manager, market conditions, risk appetite of the investor etc. Generally, if we talk about the top 5 portfolio management services in India, their return percentages can be as high as 37% and can be as low as 22%. 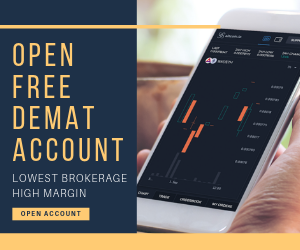 These percentages may vary from broker to broker and from year to year, however, it should be able to give a good idea on what is the general range of returns one can expect while availing these services. One must make sure that over-diversification of investment does not take place. Because what would that do is, it will increase the marginal loss of expected return as compared to the marginal benefit of reduced risk. It kills the whole purpose of better returns that ways. Usage of Portfolio management services requires you to start with a high initial capital(in the range of ₹25 Lakh), thereby, setting barriers for regular investors who would want to avail such services. Keep an eye on the PMS charges since a few brokers may charge a lot of money while providing their services. Better investment choices are made if you diversify your portfolio and understand how each investment products provides returns at a specific risk level. You can track the performance of each of your investment entities and shuffle around post discussion with your portfolio manager (depending on the type of PMS you have availed). Using Portfolio management services will enable you to invest on a regular basis thereby making it a habit. And obviously, the financial understanding you carry will also improve based on the investments you make. The liquidity of investments is in your control and in case of an emergency, you may convert your investments into liquid money. With the diversification of your disposable income investment, the overall risk you carry will also get diversified and thus, mitigated.